Grease a 9 inch (23 cm) cake tin. Mix flour, cocoa powder, baking powder, salt, sugar and vanilla essence in a bowl. Mix everything together until smooth. If the batter is too runny you may add slightly more flour. Transfer to bake tin and bake at 180 degrees until a wooden pick inserted in center comes out clean, approximately 30 to 35 minutes. Then pour the extra chocolate on the cake and decorate with strawberry or anything what u like. That's a lovely cake! Wishing you a very Happy New Year to you and your hubby! Cake looks amazing dear. Happy & Prosperous 2011 for you and family! .happy new yr....may all ur wishes be fullfilled this yr ! Happy new year to you & your family too. Are you Sushil's wife? Great to meet you here. World is so small. 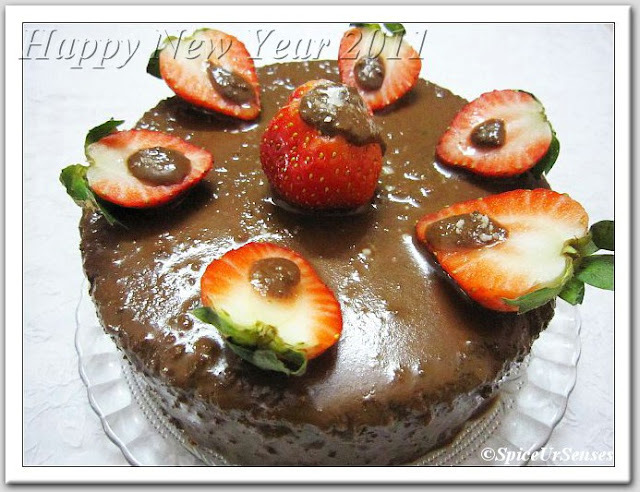 WIshing u a happy and prosperous new year..Soo tempting and beautiful cake..
wow, that cake is so drool-worthy. Happy new year dear. 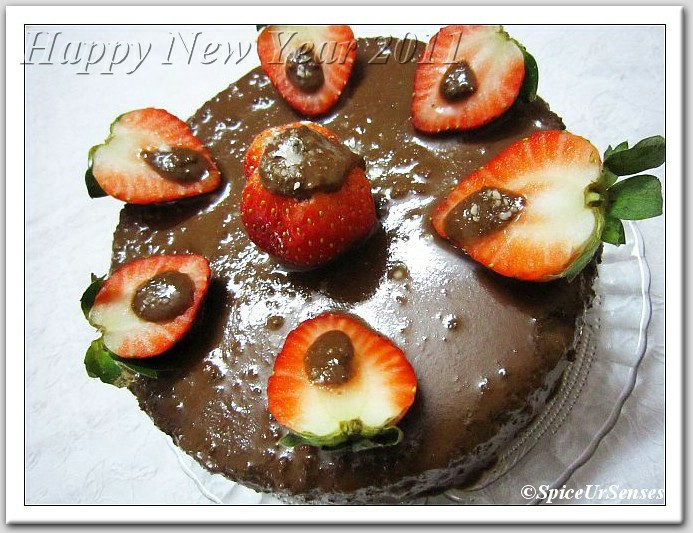 Wonderful cake..Happy New year !! 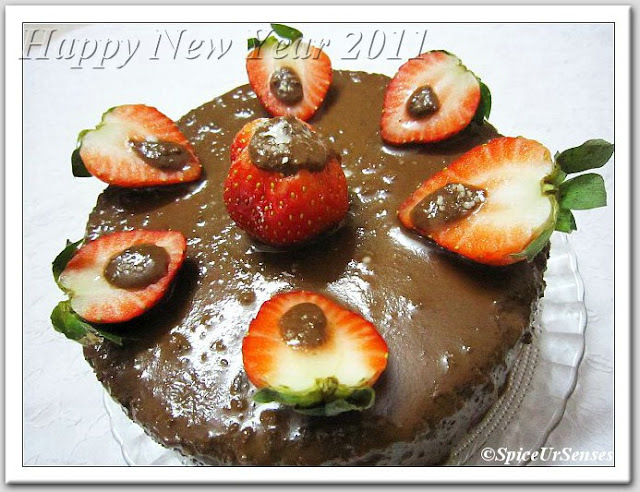 Yummy chocolate cake..Wish you and your family a very happy New Year!! I am really drooling over the chocolate! Very rich! And the strawberries look delicious! Great photos! The cake looks fantastic! thanks for comming and drop the comment.